Employee Agreements are important documents that define the obligations and expectations of both employees and employers. 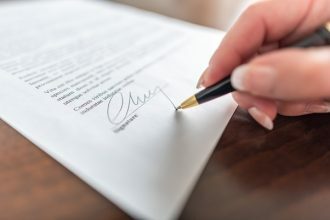 It is important to revisit such important documents on a regular basis to ensure that the provisions of your employee agreement reflect the current state of the law and best practices. One area of an employee agreement that can be over-looked, or perhaps misunderstood, is intellectual property. Intellectual property, however, can be one of the most valuable assets of a company and should not be glossed over. Below are three provisions of an employee agreement that may be missing or could use a tune-up. Does your employee agreement include a present assignment of an employee’s rights in inventions or just a future promise to assign? 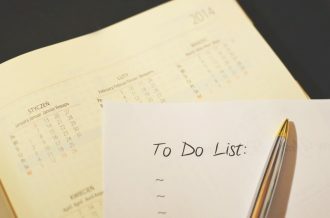 Rather than relying solely on a statement in an employee agreement that an employee “agrees to assign” or “will assign” his or her rights in inventions to the company, an employee agreement should actively state that the employee “hereby assigns” his or her rights in inventions to the company. The Federal Circuit has stated that such language can automatically assign an employee’s rights in inventions without the need for an additional act. You may be tempted to cast a wide net and draft an invention assignment clause that attempts to broadly assign all inventions of an employee to the company. Such broadly worded clauses can run afoul of state laws that require limitations to invention assignment clauses in employee agreements. The limitations described in some state laws can require that an employer provide notice to an employee that inventions made without company resources and/or that do not relate to a company’s business are not covered under the invention assignment clause of an employee agreement. States that have restrictions on invention assignment clauses in employee agreements include California, Delaware, Illinois, Kansas, Minnesota, Nevada, New Jersey, North Carolina, Utah and Washington. While states requiring restrictions are still in the minority, you may want to revisit the scope of an invention assignment clause in your employee agreement or risk that the clause be held enforceable. The Defend Trade Secrets Act (DTSA) was passed into law in May of 2016. The DTSA creates federal and private causes of action for the misappropriation of trade secrets. The DTSA further requires employers to provide a notice of whistleblower immunity. The notice must state that no individual may be held civilly or criminally liable for the disclosure of a trade secret so long as the disclosure is made in confidence to a government official or to an attorney for the purpose of investigating a suspected violation of law or if the disclosure is filed in a lawsuit under seal. If the employer fails to provide such notice, the employer may not be awarded exemplary damages or attorney fees under the DTSA. Such notice can be included in an employee agreement to satisfy this requirement. 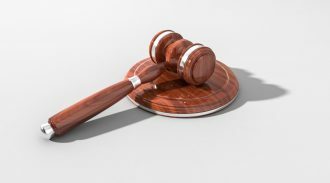 In the event that the notice required by the DTSA is not provided, however, similar remedies may be available under the Uniform Trade Secrets Act (UTSA). Contact your intellectual property attorney to review your employee agreement(s) for the above-noted provisions and other provisions that may need updating. As with all important legal documents, maintain a record of employees that have executed such documents and a repository for the signed copies. What Would the Perfect Employee Agreement Look Like?